Columbia Harbor House is a counter-service restaurant in Walt Disney World’s Magic Kingdom. Residing in Liberty Square, Columbia Harbor House serves American fare and specializes in seafood. The restaurant does take part in the Disney Dining Plan as a counter-service credit but doesn’t accept any other discounts. We recently had dinner at Columbia Harbor House and this review will cover that meal. Magic Kingdom’s dining options have historically been a sore spot for an otherwise thriving park. Over the last few years, the dining has been trending up with the addition of Be Our Guest and Skippers Canteen. Those aren’t the only improvements though as several counter-service places have improved. Even when dining was at a low in Magic Kingdom, Columbia Harbor House was still a decent place to go for a meal. Part of that is due to the atmosphere inside. The restaurant is two stories and is crammed with details. Due to its spot in Liberty Square, the restaurant feels like a little, cozy spot you might wander into in New England. I find the restaurant to be very welcoming. I think the design fits a seaport town. 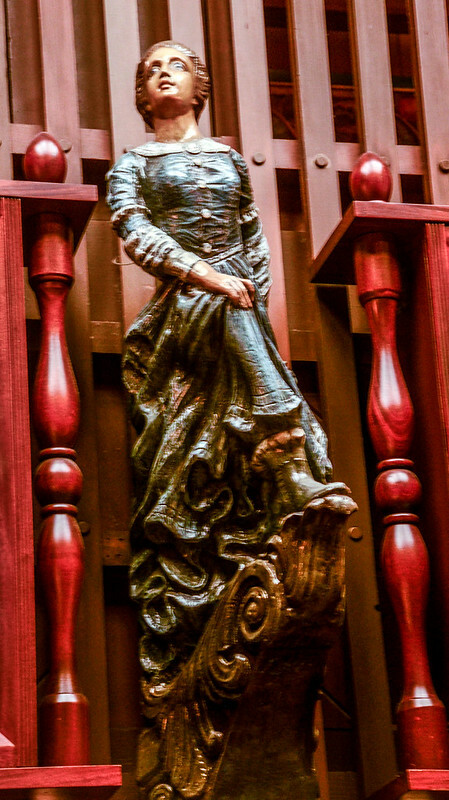 The restaurant also flows well from the European-inspired Fantasyland to the colonized Liberty Square. The architecture and story fit the thought of traveling from Europe to the American colonies. 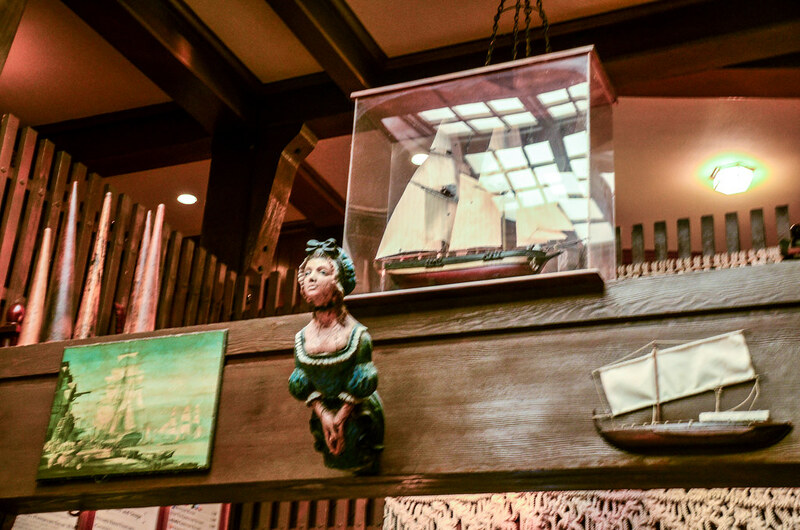 Once reaching the colonies, Columbia Harbor House is the type of warm restaurant that you’d want to find. There are plenty of seats on both floors. The top floor used to be one of the hidden gems in Magic Kingdom, a quiet respite with some fun views out the window. Now, both floors are usually typically pretty busy but I still recommend sitting upstairs. At times that area can still be fairly empty. As for the food, the menu mostly serves seafood. Here’s a link to the menu. I think there’s a nice mix of fried food, home style food and fresher food. Speaking for myself, I don’t typically love the breading that Disney counter-service puts on fried food. That’s not a hard and fast rule, but just personal preference. I haven’t had anything fried here in years so maybe Columbia Harbor House has the best fried fish around! Let us know in the comments if you’ve tried it. For my entrée I decided to go with the Lobster Roll. This came with house made chips. As for the Lobster Roll, I was pleasantly surprised. There was not very much filling in the sandwich and a ton of lobster. The flavor wasn’t as rich as some lobster rolls I’ve had but this was still delicious. That’s mostly thanks to the amount of lobster in the sandwich. I thought the chips were a better alternative than your run of the mill french fries. 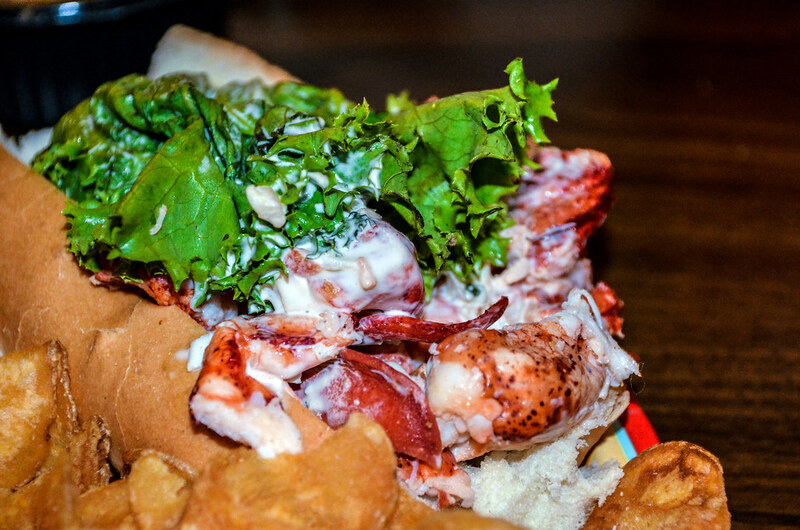 At $14.99, the Lobster Roll is a decent value especially considering the amount of lobster in the sandwich. 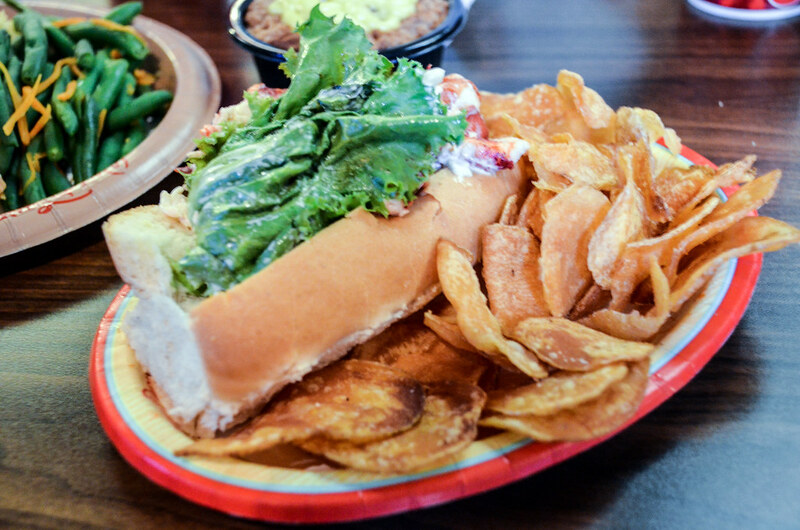 There are other lobster rolls around Disney World but they are more expensive and this one isn’t much worse, if at all. I would happily recommend the Lobster Roll here. Melissa went with the Grilled Salmon and we were both really happy with this entrée. The salmon was cooked perfectly and had a somewhat sweet glaze to it. The portion size was, as you can see, fairly large and filling. This isn’t your typical counter-service entrée, it was very fresh and delicious. The green beans tasted fresh as well and weren’t overly seasoned. We were somewhat split on our opinion of the couscous. I liked it pretty well while Melissa wasn’t a big fan. There wasn’t much flavor in it but I thought it was a nice starch to finish off the dish. All in all, this was a great option and at only $13.99 is a relatively good value. We went with the seasonal cobbler for dessert and thought it was pretty average. The addition of the cream that you can see on top was nice. Otherwise there was nothing that stood out about the cobbler. I regret not getting the Boston Cream Pie as I think that’s a slightly more original counter-service dessert. Maybe next time! Columbia Harbor House offers some surprisingly fresh and delicious entrees and decent prices. 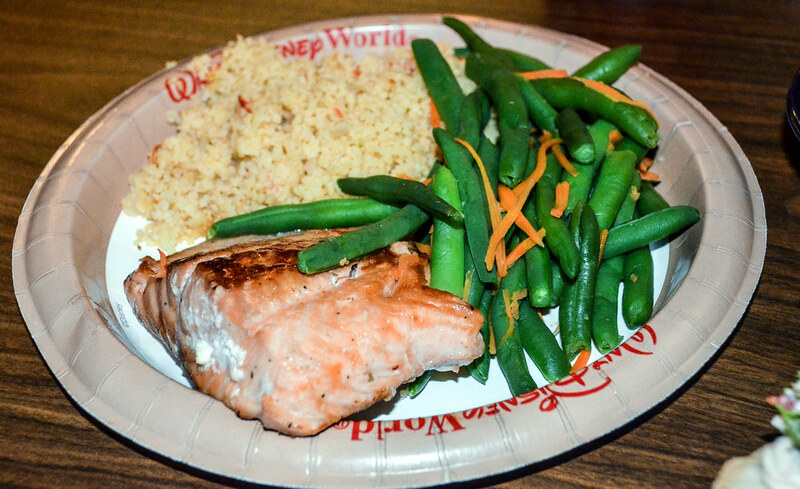 The salmon was on par with some table-service restaurants and at significantly better prices. The same goes for the Lobster Roll but there wasn’t quite as much value there. I do think that the restaurant could benefit from having nicer plates and cutlery instead of paper and plastic. Be Our Guest (and most Disneyland quick-service restaurants) utilizes this and it makes the meal feel a little nicer. If you enjoy seafood then Columbia Harbor House is one of the better counter-service options. While the menu isn’t extremely diverse in its offerings there are different selections that could fit the whole family. I’d be reluctant to recommend anything aside from the two entrees I reviewed here because I think they could be overly greasy. But, as I mentioned, it has been years since I’ve tried the fried food here. All in all, Columbia Harbor House is only second to Be Our Guest when it comes to Magic Kingdom counter-service restaurants. Have you tried Columbia Harbor House? Let us know your thoughts on the restaurant in the comments!If you enjoy what you’re reading here at Wandering in Disney please subscribe to our blog and like our social media pages. You can accomplish both of those things on the right side of this page. 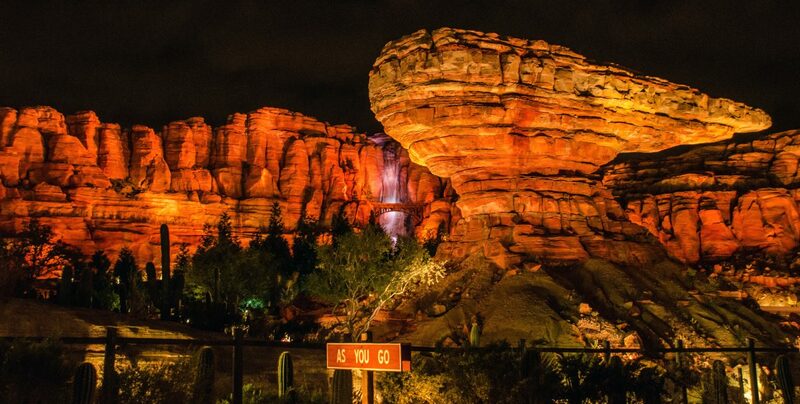 If you have any Disney Parks questions please send us an email at wanderingindisney@gmail.com or leave a comment. We’d be happy to help! Thank you for reading! 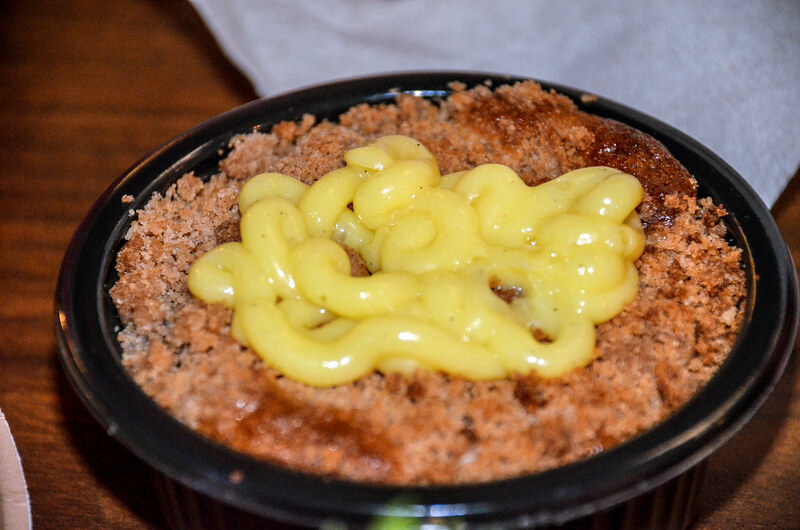 I always loved getting the fish or shrimp mac and cheese. The fish was practically the same as the one served at the UK pavilion in EPCOT. This was my favorite quick-service location in Magic Kingdom during my College Program. The Shrimp Mac and Cheese did look delicious! I’ll have to try it next time. Columbia Harbour House is my go-to quick-service restaurant in the Magic Kingdom. I take my food upstairs to the second-floor dining room, which looks out over Liberty Square and my favorite attraction, Haunted Mansion. That’s the way to go! A beautiful way to spend a lunch or dinner.